Chicago, IL – Olive Films, a boutique theatrical and home entertainment distribution label dedicated to bringing independent, foreign, and classic films to DVD and Blu-ray, is excited to announce that September 13th will be the release date of seven new titles, including Cecil B. DeMille's once-lost silent The Captive (1915), monster movie gem The Monster of Piedras Blancas (1958), and beloved (but controversial among purists) Republic serial Commando Cody: Sky Marshal of the Universe (1955). Thought to be lost for many years, this early Cecil B. DeMille feature was thankfully discovered in Paramount’s vault in 1970. 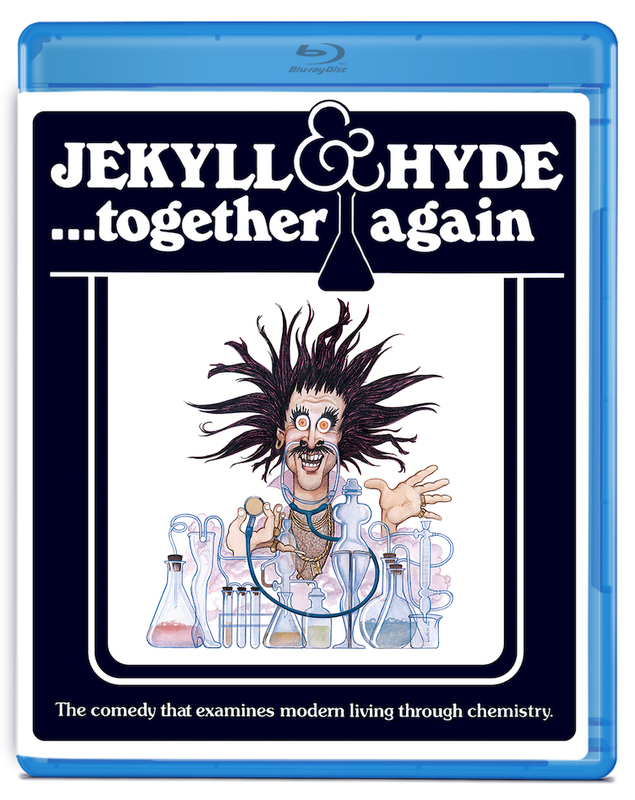 Olive Films’ DVD and Blu-ray release on September 13th will mark the film’s first availability on home media. In addition to being from one of the all-time great American directors, the film was also produced by Jesse L. Lasky, who would form the prolific Famous Players-Lasky Corporation responsible for 731 features and 363 shorts from 1916 to 1919. The film also boasts a somewhat storied production history. According to rumor, DeMille and his co-writer Jeannie MacPherson engaged in an affair during writing and shooting. If one believes this story, indications of their relationship can be found in the subtexts of the film itself. On a darker turn, an extra was unfortunately killed during filming. According to star Blanche Sweet, this was a result of real, loaded guns being used as props. More tragedy followed shortly after filming ended, as Page Peters, who was just rising to fame as an actor, drowned in 1916. For the DVD and Blu-ray release of The Captive, Olive Films has commissioned a brand-new score by composer Lucy Duke. "The opportunity to create an original score to a DeMille silent film is a singular opportunity-- a musician's dream come true!" said composer Lucy Duke. "I hope that the music is true to the era while remaining valid in a contemporary context, shining a new light on this film." DVD and Blu-ray debut of The Monster of Piedras Blancas (1958), directed by Irvin Berwick, shot by Philip Lathrop, starring Jeanne Carmen, Les Trmayne, John Harmon, Don Sullivan, and Forrest Lewis. The Monster of Piedras Blancas, previously unavailable on DVD or Blu-ray, has become a sort of Holy Grail of monster b-movies. The Monster of Piedras Blancas, previously unavailable on DVD or Blu-ray, has become a sort of Holy Grail of monster b-movies. Shot over the course of two weeks, the film was produced with a final budget of $29,000. This micro-budget necessitated a resourceful craftsmanship from the filmmakers that resulted in the endearingly campy monster flick that fans know and love. For example, the monster’s costume supposedly recycled the hands from The Mole People (1956) and the feet from This Island Earth (1955). Many people note its similarities to the Creature from the Black Lagoon (1954) creature, and indeed producer Jack Kevan had a hand in the costume and makeup of both films. Science Fiction fans will also recognize prolific actor Les Tremayne (The War of the Worlds, Forbidden Planet) and pin-up queen Jeanne Carmen (The Devil’s Hand). At the time of its original release, its shocking gore earned it a place in the hearts of many young horror fans. 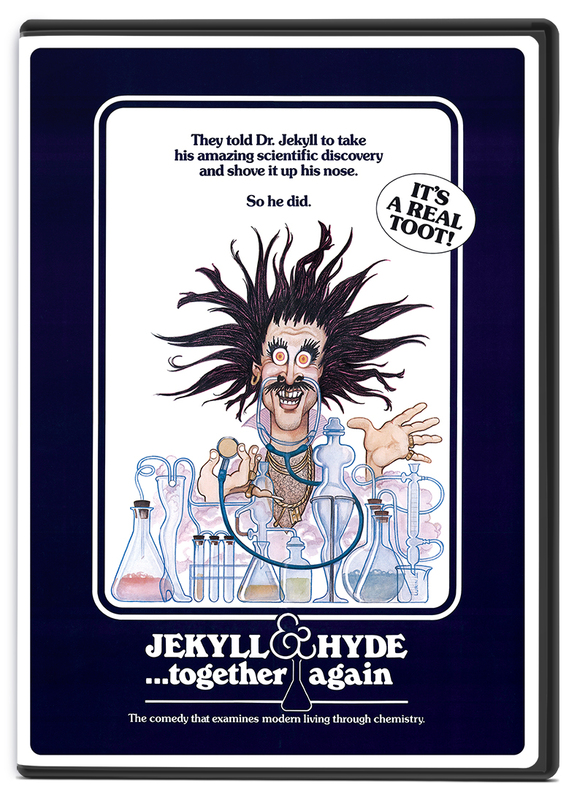 This b-movie monster gem arrives on DVD and Blu-ray for the first time ever on September 13th. 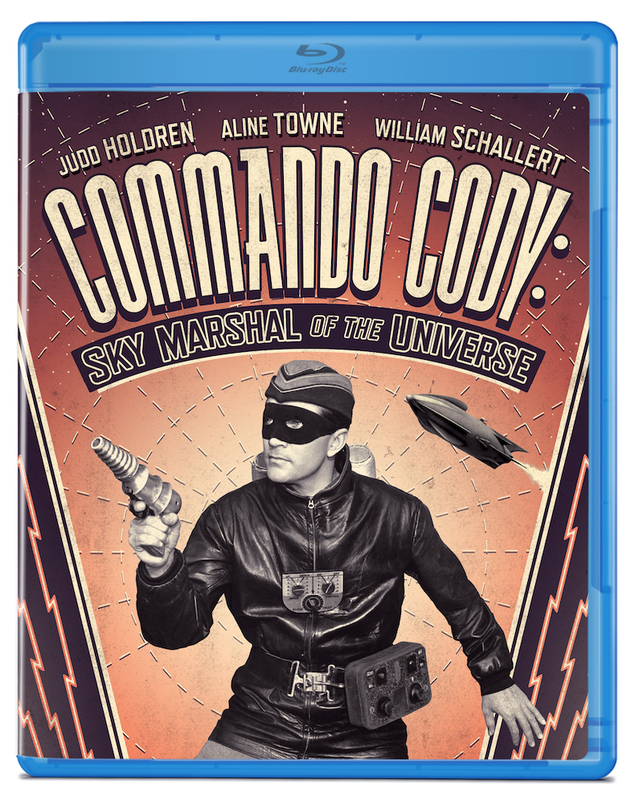 Blu-ray debut of Commando Cody: Sky Marshal of the Universe (1955), directed by Fred C. Brannon, Harry Keller, and Franklin Adreon, starring Judd Holdren, Aline Towne, William Schallert, Gregory Gaye, Ricahrd Crane, and Lyle Talbot. 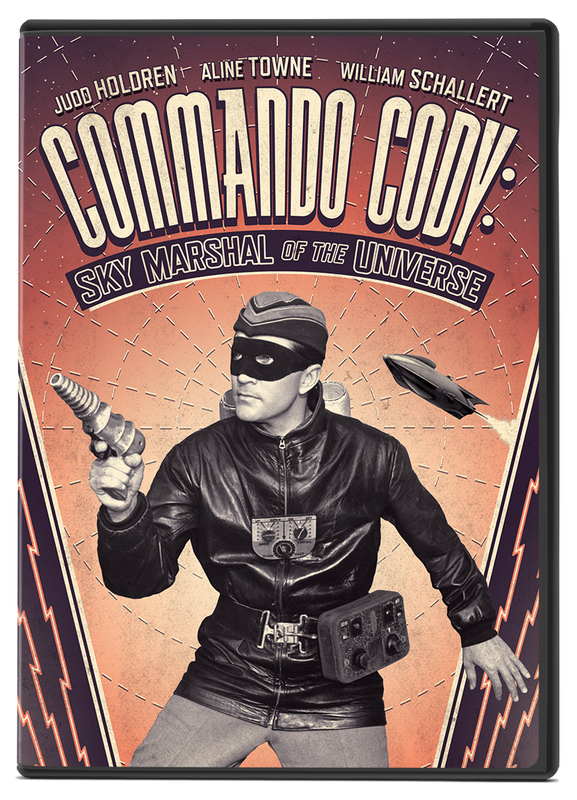 Another title coming to DVD and Blu-ray from Olive Films on September 13th is the Republic Serial Commando Cody: Sky Marshal of the Universe. A debate exists among serial purists as to whether or not it can truly be counted as part of the serial canon. Originally, its 12 episodes were intended for a weekly television series. 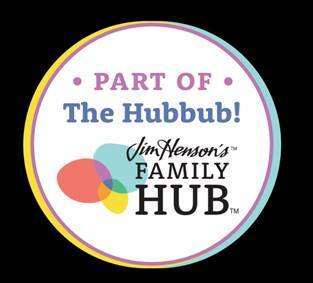 Its premiere, however, was as a weekly theatrical serial in 1953, with it finally airing on television in 1955. Episodes do not end with the traditional cliffhanger, but they do share many other themes and even characters in common with the canonical serials. In fact, Commando Cody: Sky Marshal of the Universe can be considered a prequel to Radar Men from the Moon, in which the titular character first appeared. According to rumor, the character always wore a mask because producers wanted the actor playing him to be more dispensable. 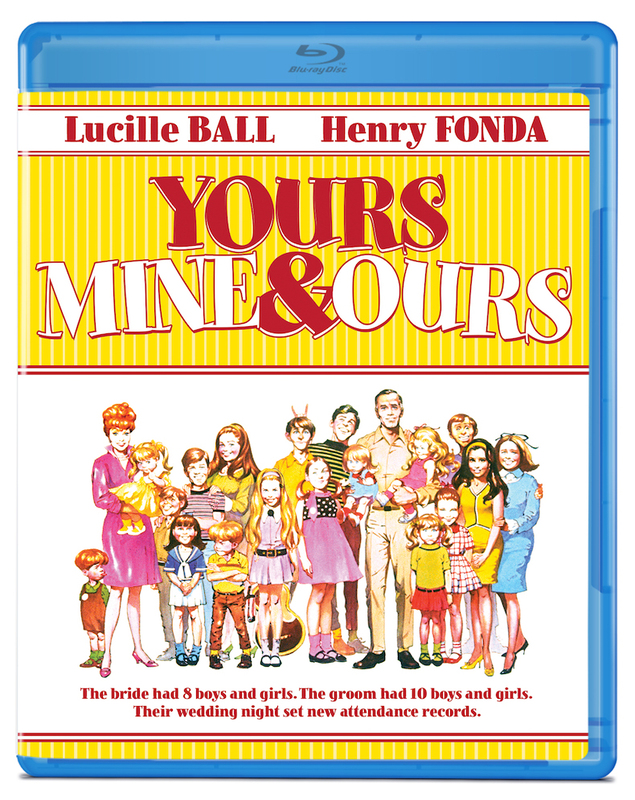 Blu-ray debut of Yours, Mine and Ours (1968), directed by Melville Shavelson, starring Lucille Ball, Henry Fonda, Van Johnson, Tim Matheson, and Tom Bosley. 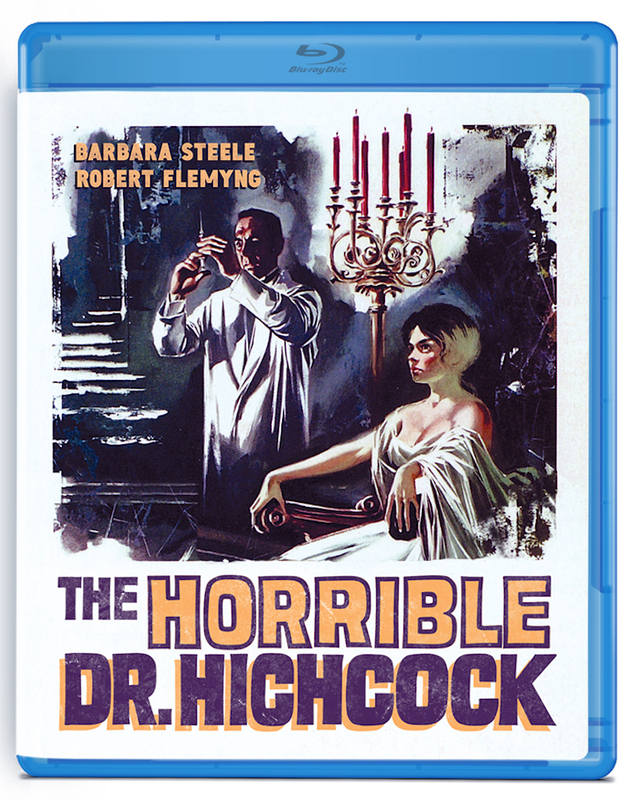 Blu-ray debut of The Horrible Dr. Hichcock (1964), directed by Robert Hampton (aka Riccardo Freda), starring Barbara Steele, Robert Flemyng, Montgomery Glenn (aka Silvano Tranquili), and Teresa Fitzgerald (aka Maria Teresa Vianello). 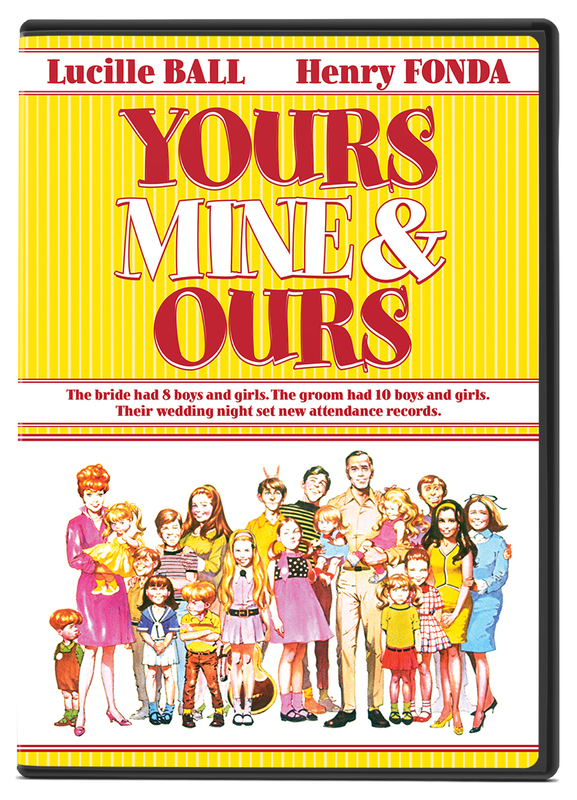 Note: Olive Films will be presenting the 77-minute US cut, as it is currently the only version available for licensing. Contrary to popular opinion, the US cut is not censored to be less explicit-- the cut affects mostly the pacing. Jekyll and Hyde... Together Again (1982), directed by Jerry Belson, starring Mark Blankfield, Bess Armstrong, Tim Thomerson, Krista Errickson. DVD and Blu-ray debut of Mankillers (1987), directed by David A. Prior, starring Edd Byrnes, Gail Fisher, Edy Williams, Lynda Aldon, William Zipp, Suzanne Tegmann, and Christine Lunde.